Patrick J. Lopez joined Mesch Clark Rothschild in 2001 and is a shareholder in the firm’s litigation section. He focuses on commercial litigation, condemnation insurance coverage disputes, personal injury, construction litigation, medical malpractice defense, government/municipal law, landlord/tenant, Registrar of Contractors matters, and veterans’ benefits claims to the U.S. Department of Veteran Affairs. Patrick received his B.A. in Political Science from the University of Arizona and his J.D. from the University of Arizona James E. Rogers College of Law. Prior to joining Mesch Clark Rothschild, Patrick clerked for Judge Christopher C. Browning in the Pima County Superior Court. 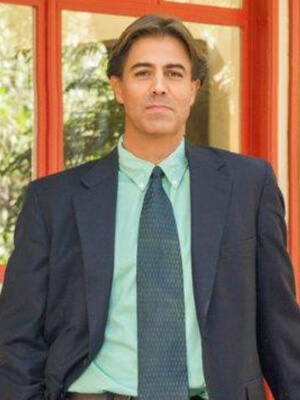 Patrick represents both plaintiffs and defendants, and has successfully tried cases in many forums, including the Arizona Superior Court in multiple counties, the United States Federal District Court, United States Bankruptcy Court, the American Arbitration Association, the Arizona Office of Administrative Hearings, the U.S. Department of Veterans Affairs, and the Board of Veteran Appeals. Patrick is also authorized to practice in the Tribal Court of the Tohono O’Odham Nation, and is an accredited veterans’ claims attorney by the U.S. Department of Veterans Affairs. Patrick, a native Tucsonan and a former tennis professional, co-founded Pride Tennis in 2004. Pride Tennis helped Native American children develop life skills through the sport of tennis. Patrick, a husband and father of two girls, remains very involved in his community, currently serving as the President of the Southern Arizona section of the United States Tennis Association, and is also a board member of the University High School Parent Association. Patrick serves the legal community as a member of the State Bar of Arizona Jury Instructions Committee. Patrick also serves on the Primavera Foundation Real Estate and Asset Management Advisory Committee, which furthers the advancement of the Foundation’s mission to provide low-income housing within the Tucson community. Patrick is a 2007 graduate of the Greater Tucson Leadership program and, in 2008, received a 40 Under 40 Award by the Tucson Business Edge as one of the young business leaders in Tucson. «No Indemnity Provision in Your Construction Contract? PRAY. «Fiduciary Duty: Are You Held to a Higher Standard? «Are Emotional Distress Damages Recoverable for Loss to Property Resulting From Construction Defects? «If You Are Summoned To Court, Where Do You Go?